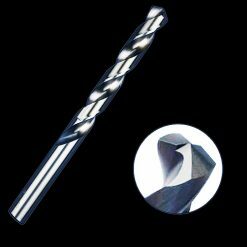 Our jobber drills bits are metric & imperial bits for mild, black steel (for stainless steel use our M35 cobalt bits). We also sell sets, step drills and double ended bits. Fully ground, 135 degree split point bits that are designed for daily professional use in the workshop, or out in the field – they will not let your business down.